By a vote of 217–185, on Thursday, the U.S. House passed H.R. 695, a funding bill that prevents a partial government shutdown and offers extensive relief to communities impacted by hurricanes. The bill also provides $5 billion in funding for a border wall as requested by President Donald Trump however it is not expected to pass the Senate. Party lines mostly held firm in the Florida delegation with every Democrat from the Sunshine State opposing the bill and most Florida Republicans supporting it. Two Florida Republicans who are about to leave Congress–retiring U.S. Rep. Ileana Ros-Lehtinen and U.S. Rep. Carlos Curbelo who was defeated in his bid for a third term–voted against the bill. On Thursday night, U.S. Rep. Matt Gaetz, R-Fla., and U.S. Rep. Ted Yoho, R-Fla., cheered the bill’s passage. Both Gaetz and Yoho are allies of the Trump administration and have garnered the president’s praise. “While I am normally reluctant to support short-term government funding bills, I was proud to vote for H.R. 695. This bill includes much-needed disaster aid for areas impacted by hurricanes and wildfires. Hurricane Michael was damaging to Northwest Florida, with widespread devastation in places like Panama City. While the disaster relief provisions of the bill are immensely valuable, the bill is also important because it finally delivers on President Trump’s top priority: the construction of a wall along our southern border. 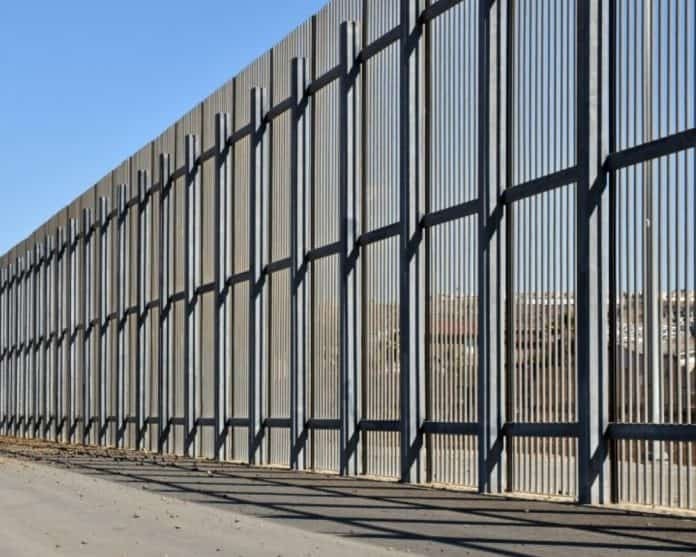 A border wall will keep America safe from external threats, and will restore America’s belief in the rule of law,” Gaetz said. “Illegal immigration costs America a tremendous amount of money — even very conservative estimates place the cost at over a hundred billion dollars per year,” Gaetz added. “These costs come in the form of government programs and benefits (like education and healthcare), and are never reimbursed because most illegal immigrants pay no income taxes. Illegal immigration costs America in other ways, too — from lost jobs and lower wages, to the social costs of drugs, gang violence, and increased crime rates. Even though illegal immigration has decreased under President Trump, our borders remain porous and easily-crossed, and illegal immigration still poses a significant threat to America. “While America is a nation of laws, it is also a nation of compassion, a sentiment that is also reflected in this funding bill. With nearly $8 billion in dedicated disaster relief funding, this bill will help restore the communities ravaged by hurricanes, wildfires, and other natural disasters. H.R. 695 ensures that the National Flood Insurance Program will not lapse, so families with homes and property damaged in these terrible storms can receive the redress they deserve,” Gaetz continued. “Short-term funding bills are frequently terrible, but funding the border wall made this a much better bill than most. I am proud to have voted in favor of H.R. 695. I encourage the Senate to put petty partisanship aside, and quickly pass this important legislation,” Gaetz said in conclusion. “I applaud our leadership for finally bringing border security to the floor,” Yoho said. “After weeks of negotiations with my Republican colleagues and the Trump administration, we in the House took the proper step of amending the Continuing Resolution that the Senate passed last night and adding funding for a secured border and disaster relief. These additions are hugely important to my constituents back home and to the citizens across this great nation. “It is clear to me that my colleagues on the other side of the aisle are placing politics over security,” Yoho said. “It is unacceptable that national security is being used as a bargaining chip when we all agree that securing our borders is what every American needs and wants. The first job of the federal government is to provide for the national defense. Securing our border is national defense.